Otsuka Pharmaceutical has agreed to acquire Visterra for approximately $430 million cash, the companies said today, in a deal that expands the pipeline of Otsuka and aligns with its goal of enhancing its drug discovery and development platforms. Through the acquisition, Otsuka will inherit Visterra’s Hierotope® platform, intended to design and engineer precision antibody-based therapies that specifically bind to, and modulate, disease targets not adequately addressed by current technologies. 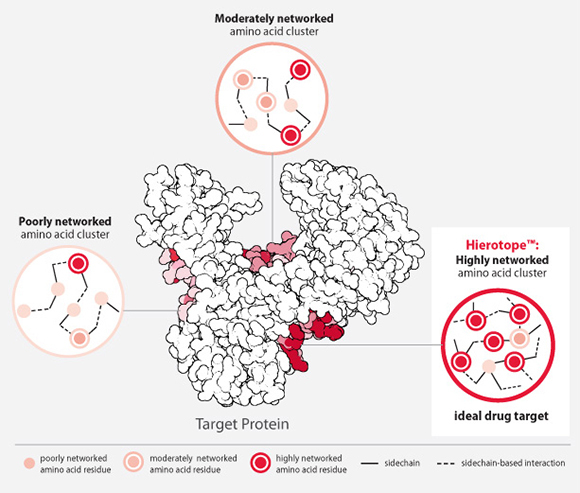 Hierotope uses novel computational and experimental technologies, particularly atomic interaction network (AIN) analysis, to both identify hierotopes—epitopes deemed critical to the structural and functional integrity of disease pathogens—then design and engineer treatments that target these epitopes. The deal will also expand Otsuka’s pipeline with Visterra’s programs targeting infectious diseases, kidney diseases, cancer, and chronic pain. Otsuka said these therapeutic areas complement its own areas of focus—which are led by two “core” areas, the central nervous system and oncology, and include the cardiovascular system, gastroenterology, the respiratory system, infectious disease, ophthalmology, dermatology, allergies, and urology. Visterra’s lead program, and its only clinical-phase program, is the infectious disease candidate VIS410 (hemagglutinin), a Phase II monoclonal antibody designed to treat hospitalized patients with influenza A.
Visterra is recruiting patients for a Phase II study (NCT03040141) assessing the combination of VIS410 with Tamiflu® (oseltamivir) in hospitalized adults with influenza A who require oxygen support, as of the most recent trial update posted April 18 on ClinicalTrials.gov. In 2015, Visterra won a five-year, up-to-$204.5 million contract from the Biomedical Advanced Research and Development Authority (BARDA) toward the development of VIS410. VIS410 anchors Visterra’s infectious diseases portfolio, which includes preclinical candidates VIS513 for dengue fever, and VIS705 for severe Pseudomonas Aeruginosa infection. In October 2017, Visterra launched a potentially more-than-$1 billion collaboration with Vir Biotechnology to develop up to six antibodies to treat infectious diseases. Under that agreement, Vir has an option to join Visterra in developing and commercializing VIS410, while the companies agreed to advance three infectious disease antibodies developed with Hierotope, including antibodies against influenza, RSV, and fungal infections. Vir also has the right to launch two additional research programs to develop antibodies against pathogens of its choosing. Visterra’s kidney disease portfolio is led by the Imumuglobulin A Nephropathy candidate VIS649, which is designed to target the cytokine A Proliferation Inducing Ligand (APRIL); and preclinical candidates targeting the interleukin-2 receptor (IL-2R), the complement C5a receptor (C5aR), and C3 convertase. Also in the company’s preclinical pipeline are a CD138-targeting candidate for smoldering multiple myeloma, and a chronic pain candidate designed to target the sodium ion channel Nav1.7. Also last October, Visterra completed a $46.7 million Series C financing, consisting of an extension totaling $23.6 million designed to advance the development of Hierotope, VIS410, and VIS649, in addition to the initial $23.1 million raised in June 2016. New investors Serum Institute of India Pvt. Ltd., CTI Life Sciences and Allegheny Financial Group joined existing investors that included the Bill & Melinda Gates Foundation, MRL Ventures Fund, Vertex Venture Holdings, Polaris Partners, Flagship Pioneering, Omega Funds, Cycad Group, and Alexandria Venture Investments. Following completion of the acquisition, Visterra will be a wholly-owned subsidiary of Otsuka, and will retain its staff and operations in Waltham, MA, the companies said. The boards of Otsuka and Visterra have approved the transaction, which is expected to close in the third quarter subject to customary closing conditions, including expiration or termination of the waiting period under U.S. antitrust laws. Visterra is one of two acquisitions announced by Otsuka this week. Otsuka yesterday said it is buying medical device maker ReCor Medical for an undisclosed price. The deal follows FDA approval June 15 of the RADIANCE II pivotal clinical study to assess the Paradise® Renal Denervation System, an ultrasound ablation system designed for safe and effective reduction of blood pressure in patients with hypertension. The study is set to start enrolling patients in October.